She’s not very tall. Her Laura Ingall’s braids are tucked behind her ears, and it is evident that one day she will need braces. Freckles kiss her face as she lifts her head toward the sky. She’s dressed in a pink tutu, white tights, and worn toe-shoes. And on top of her head is a camouflaged kevlar, a helmet, that slips over one eye. All of the armor she wears is too big, but it doesn’t stop the dance. She lights up the room wherever she twirls and waves her sword. She is a tiny warrior princess for the King. I’ve often wondered about the “helmet of salvation.” What is that? What did Paul mean? In my quest to explain these words I’ve always understood them as a reminder of the battle for our thoughts–the danger of doubting our salvation and our warrior status. My heart aches when I hear a person doubt God’s love and the security of heaven. That’s why I think this definition I found for the Greek word we’ve translated as “salvation” is so powerful. The word is Soterion, and it means defender. Salvation is implied according to the definition, but the word means . . . defender or defense. Put of the helmet of defense! We need our helmet of defense when we pray. The enemy knows that if he can make us doubt the goodness of God, ourselves, or our calling, or cause us to be fearful, anxious, or worried, prideful or greedy, he has wounded the warrior. If he can make us doubt prayer, he won’t have to worry about our effectiveness. If he can throw thoughts of what to cook for dinner in there too . . . well, you know how that goes. We lose track of what we were praying for in the first place. The armor of God is what we need to wear when we pray. The war has been won. Christ defeated death, but battles continue. We need all of our battle gear, but please, don’t forget to put on your helmet of defense. Put it on and dance. Win a Key Word Study Bible! I’m giving one away! Here’s how to enter and how to increase your chances to win. Leave a comment (one entry). Subscribe to the blog and leave a comment here that you did so (two entries). 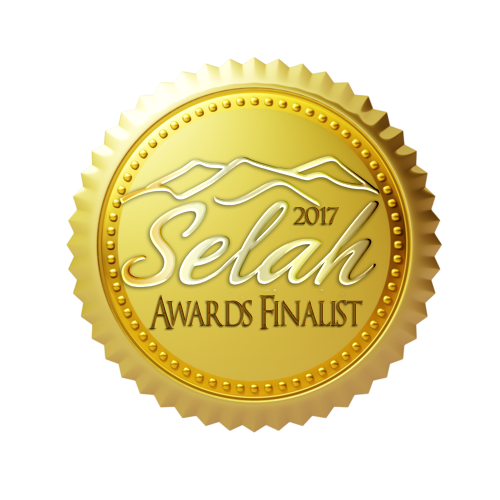 If you’ve read either one of my books (A Mary Like Me or The Ruth Key Word Study) leave a review on Amazon and leave a comment here on the blog that you did so (three entries). How to fight in prayer Key-Word Study Bible What does the helmet of salvation mean? I think I forgot to put on my armor this morning. While finishing up with my move, it didn’t dawn on me that the Internet was going to be disconnected any day. This morning I turned on Periscope and could not connect with Bite of Bread. Uh oh! No Internet! I grabbed my keys and hurried to a nearby McD’s to use their WiFi. Yay, I was just in time to join Andy & friends! 😊 I’ve commented on both books on Amazon and I already enjoy reading your blogs. I’ve commented and shared on FB. Now let’s win that Key Word Study Bible! Thanks for the opportunity, Andy, and for encouraging me to go deeper into God’s Word. Oh Diane! I wondered why i hadn’t seen your entry yet, but I also knew this was a crazy week for you. Thank you for leaving reviews on Amazon and sharing this! I’m so sorry you didn’t win this time, but I will hold another drawing soon, or maybe you should ask for it for Mother’s Day! Love you! Thanks for reading and watching my scopes, and always being a blessing to me. Andy please enter me in your drawing. I already enjoy following your blog and I receive your emails. You are truly a blessing! My favorite armor is The Sword of the Spirit. Without the word, we wouldn’t even know about the armor. Your gift of the Key Word Study Bible would strengthen that knowledge. Studying with you has already made His word more clear. I am looking forward to reading your books, but I have not read them yet. Thanks Marsha! So thankful my teaching is making things more clear. You will love the Key Word. You’re entered 3 times! Great post, Andy! I love Ephesians 6 and believe in arming ourselves against the enemy’s relentless attacks on our thoughts. 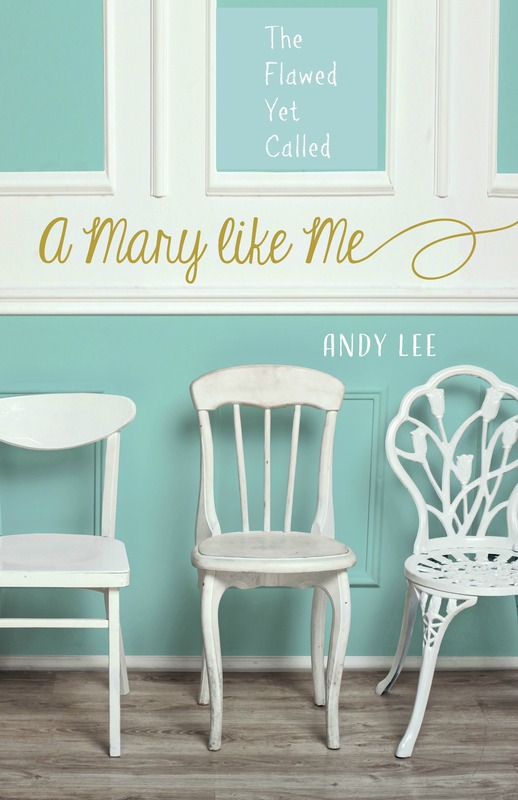 Of course, my review is already on Amazon for your lovely book, A Mary Like Me! Thanks Tina! I’ve entered you 6 times. Ah yes, the Armor of God. That is what I pray every morning for my protection against the negativity of this world. Awesome, Joy! Keep it up. Use your sword too! You’re entered. I follow your blog, your website and get your emails. I would love to be in the drawling for a Key Word Study Bible. I’m subscribed to your blog. More important is the sword of the spirit, God’s words to fill your mind when doubts come or Satan attacks. I’m pretty sure all the armor is important. Have one piece missing and you have a chink in your armor, a place for Satan to try to wiggle in and overwhelm. You’re welcome, Kim! You keep on keepin’ on. Lean on Him! Love you lots! I identified with this blog entry immediately because I was a ballerina until I started high school. I love how you go beneath the surface and teach us the meaning behind the Chistianese that we’re all so accustomed to reading and speaking. Thanks for a great post, Andy! Hey Maresa! Thanks for stopping by! I was a want-to-be ballerina. Yes, digging under to the ancient language does help us hear the scripture in a new way. I know you’ve written a review for me already! Thank you. You’re entered 4 times for the giveaway! I think I need the helmet most of all lately. That is the first line of defense for me. Once the enemy breaks in with his lies, it is difficult to wield my sword. So, it seems lately God is speaking much about who I am in Christ. Can’t wait to share this and your scope this morning with my husband. We were talking about the helmet before he left for work this morning. Yesterday, my oldest son and I were talking about a couple verses and elohiym came up. He told me what he thought it meant in the verses. I grabbed Ruth and showed him the definition in the back of the book. It matched what he was saying without pulling the Strong’s out. I told him it was from the Key Word Study Bible and he was very interested. 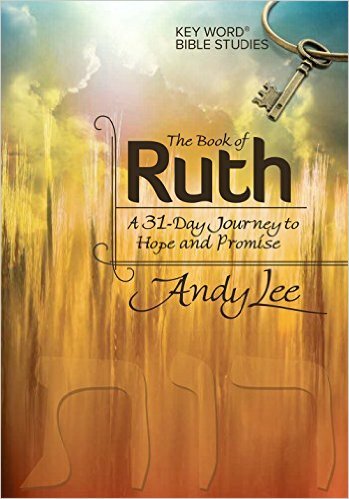 I’m in the midst of going through your book The Ruth Key Word Study. I would be happy to leave a review after I complete it! The sword of the Spirit—it is the Word of God. While all the other pieces of spiritual armor are defensive in nature, the sword of the spirit is the only offensive weapon in the armor of God. It speaks of the holiness and power of the Word of God. A greater spiritual weapon is not conceivable. We are taught through Jesus, the Word of God was always His overpowering response to Satan. What a blessing that the same Word is available to us! Thanks April! Awesome thoughts on the sword of the Spirit! Love it. Yes and Yes! I agree. Thanks for leaving a review on Ruth when you complete it, and subscribing to the blog. And thanks for thinking it “wonderful” :). You’ve got 6 entries!